I hope Valentines Day was a lovely one for you guys but remember love day is everyday! With that in mind I highly believe in treating yourself once in a while because you deserve it. I've put together a little wardrobe essentials wish list from Everlane, every single piece will 100% work with what you already have take a look! 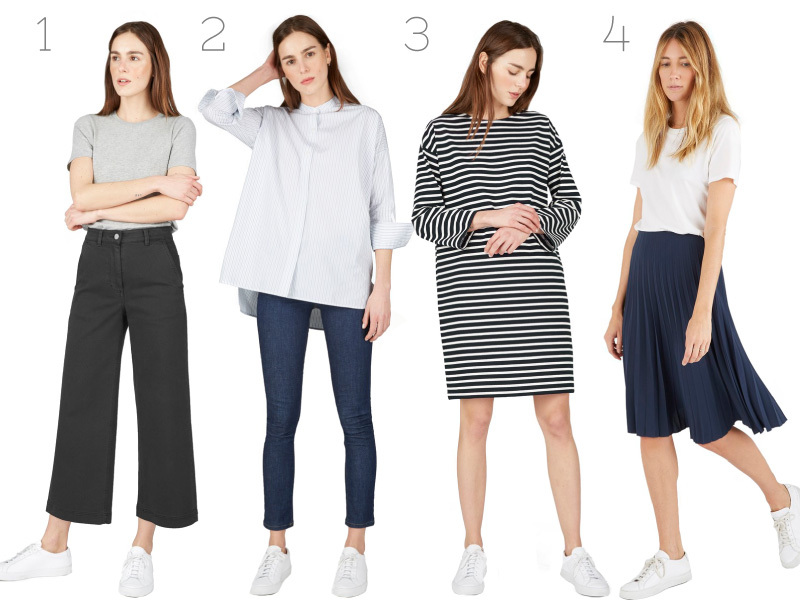 Ever since I saw the wide leg cropped pants on the 'coming soon' section of the Everlane site I knew I would have to buy them, they look so flattering and comfortable I can't wait to get my hands on them. They also come in a blue and white so definitely check them out! Has anything caught your eye on Everlane?